Providing Quality, Protection, Beauty, & Trust Since 1985. Since 1985, Team Vinyl and Roofing Co. have been fulfilling their desires by providing quality home improvement services for residential clients of Keene NH, Brattleboro VT, and local surrounding towns and cities. 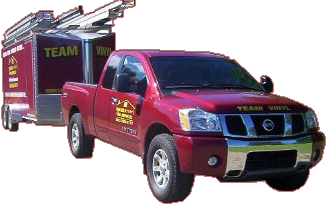 Team Vinyl and Roofing Co. aren't just your average roofing and siding contractors! We have a committed team of talented and ambitious staff of highly experienced home improvement experts! Whether it's a simple repair to a complete home makeover project your family desires or needs, we've spent the last 3 decades building a reputation of trust, care, and skill that homeowners can rely on. So when it's time to replace, repair or install a new roof, seamless gutters, replacement windows or thinking of upgrading with a custom siding project... when you want to add a new deck or other home improvement, look no further! We will work with you individually to make sure your home improvements meet your specific needs and expectations. Together we will determine what will suit you best, and our knowledgeable versatile and efficient crew will install it with the quality and expertise your family deserves. We've been successful in helping thousands of happy homeowners throughout New Hampshire and Vermont with all of their home remodeling needs and would be honored for an opportunity to help your family too! 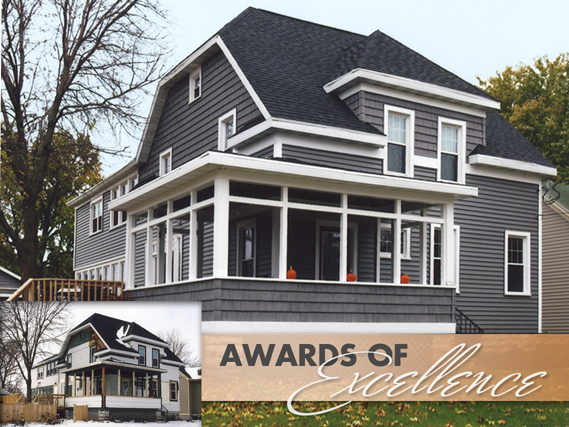 Award Winning Quality Products and Service: Our certified team has been recognized for award winning home remodeling for our outstanding craftsmanship, use of the finest materials and techniques in the industry. Superior Reputation in the Industry: As experts in the industry, we’ve received various accolades for our top-quality service, including the Best of Houzz 2016 service Award, and the Angie’s List 2011 Super Service Award. Expert Installation by Remodeling Contractors: For roofing and siding installation projects, trust the experienced professionals who have been recognized for excellence in remodeling and stand behind their work: the roofing and siding contractors of Team Vinyl and Roofing Co.
Members of the NH Better Business Bureau: We are a 5-star A+ Accredited member with 0-complaints. Click on the photo to zoom in on our gallery! With Team Vinyl and Roofing Co. having direct contact with homeowners during all phases of a project, starting with evaluations, demonstrations of numerous choices, installations, and a final walk through with our customers… is the recognition of our professionalism, and is what makes us grow solid in this competitive market. When choosing our highly trained installers means receiving top-quality services from the moment we walk on your property until the last nail is in place. Located in Hinsdale, NH. for the past 30-plus years, we’ve been committed to honest pricing, using the highest quality of products and warranties available on the market, with long-lasting workmanship ever since we opened our doors. 100% customer satisfaction is not just a goal at Team Vinyl and Roofing Co., it’s a part of our everyday routine. Cheshire County, New Hampshire, including Winchester, Swanzey, Chesterfield, Keene, Westmoreland, Richmond, Fitzwilliam, Surry, Walpole, Alstead, & Spofford, New Hampshire. Windham County, Vermont, including Brattleboro, Vernon, Guilford, Dummerston, Newfane, Putney, Brookline, Westminster, Halifax, Marlboro, Bellows Falls, & Wilmington, Vermont.